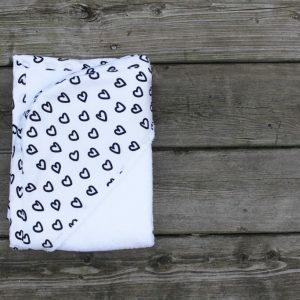 Hooded Towels - check out our whole collection! 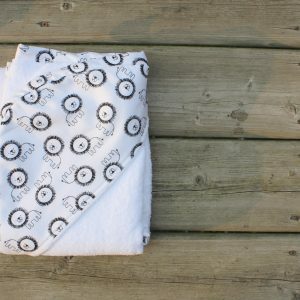 We’ve been there, your little babe is finished bath time or swim, you grab a towel, wrap them up, and they are freezing cold in seconds. You could have sworn you picked up a towel out of the linen closet…but wait a minute, was it a piece of paper towel? …because it certainly feels like that after your babe dried up a few drops on it! 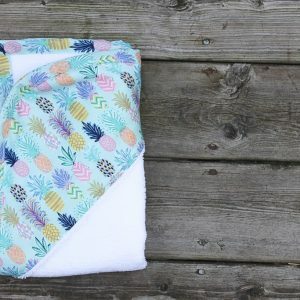 Chilly navels and shivering tushies no more! 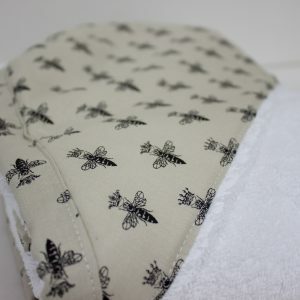 Pick up one of these luxuriously soft, thick and super absorbent hooded towels for your swimming fish or bath time lover. 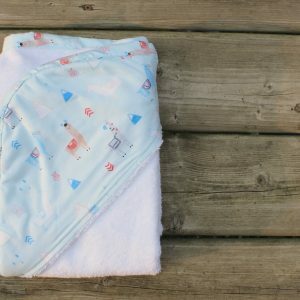 So, if you are wrapping up a screaming newborn after their first bath, or snuggling with a toddler after a swim, this hooded towel will dry many a wet little one for years to come!